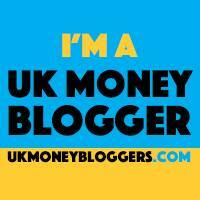 February 3, 2018 By Morgan M Woods 4 Comments This post may contain affiliate links. 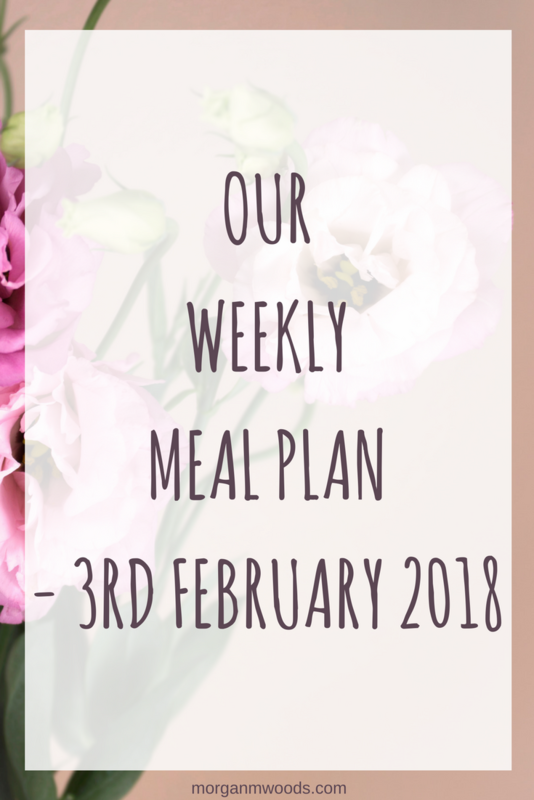 Our weekly meal plan this week will be easy and simple meals that I can pop in the slow cooker and forget about until tea time. 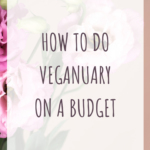 Now that Vegnuary has finished I’ve decided that I’m going to reduce the amount of animal products I buy. At the moment while my family still eat meat and other animal products it’s very difficult to completely avoid them in my diet. So I figured that just reducing animal products by bulking things out with veg for now is a more realistic way to do it for us. Monday – Beef stew made in the slow cooker with mash or dumplings. I found some braising steak yellow stickered during the week so I plan to use this. Tuesday – Spaghetti Bolognaise, again cooked in the slow cooker and served with spaghetti and some ciabatta bread. I find it so much easier cooking my bolognaise in the slow cooker because when it comes to tea time all I have to do is cook spaghetti. Wednesday – ‘Homemade’ fish and chips. Okay not so homemade but not takeaway fish and chips, I have some frozen fish in the freezer to eat. 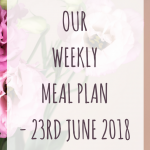 Thursday – Sausages, mash and veggies. 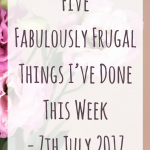 Friday – Freezer food/ leftovers. Saturday – Pizza. This is a meal that the kids always eat because they always get involved with cooking them. We have a bulk load of flour to use so we will most likely make our own. 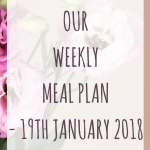 Sunday – Roast shoulder of pork with roast potatoes and veggies. This was another of my yellow sticker finds this week, it’s only a small joint enough for 2 days worth of meals though. I will use the rest in another recipe next week. 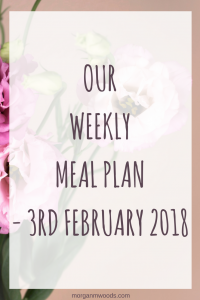 I’m linking up with The Organised Life Project and Katykicker for this weekly meal plan linky. Just followed you over on your new Instagram! 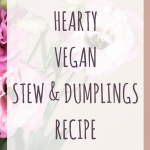 I love a beef stew with dumplings and the roast sounds right up my street too! I really like the sound of that pork roast. Did you find going vegan helped your health? A colleague of mine swears she’s going to stay vegan from now on. Yes I felt so much better actually. In fact after deciding I’d just reduce meat I didn’t actually want meat this week. I’ve been continuing with vegan alternatives that I now prefer.